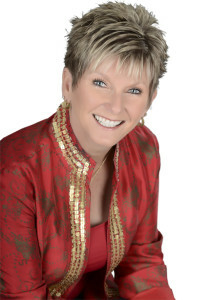 Sun Lakes Real Estate Agent Becky Kolb with The Kolb Team and Re/Max Infinity is a top producing Realtor team specializing in the active adult community of Sun Lakes, Arizona. Becky and her team have over 15 years real estate experience and has earned the ReMax, LLC Hall of Fame Award, 100% Club, Executive Club and numerous team production awards. Becky has also earned the designations of SRES (Senior Real Estate Specialist) and ABR (Accredited Buyer Representative). Sun Lakes is located in the Southeast Valley of the Phoenix area, bordering Chandler, Arizona and is one of the top choices for active adult lifestyle communities. Location is one of the top features clients love about Sun Lakes with just a half hour from both Sky Harbor International and Mesa Gateway Regional Airports. Sun Lakes is just three miles east of the I-10 and even less to the 101. Within ten minutes you can be on any major freeway and just out the back door is everything you will need from grocery stores, shopping, medical facilities, restaurants and so much more! See the map of Sun Lakes, Arizona below. Sun Lakes is comprised of five separate communities, three of which are gated. Sun Lakes Country Club, the first of the communities has just over 2,700 homes built primarily in the 1970’s. Cottonwood Country Club, with over 2,000 homes was built in the 1980’s. The first gated community of Palo Verde has just over 1,000 homes built in the 1980’s and 1990’s. Ironwood has 734 homes that were built in the 1980’s and early 1990’s. The last of the gated communities was Oakwood with over 3,200 homes built in the 1990’s and up to 2006. Each of the communities has their own amenities including golf, tennis, pickle ball, fitness center, clubhouse, bar and restaurants, lakes and walking paths. Some of our clients enjoy the Sun Lakes Senior Softball or the Sun Lakes Hiking Club. You will find plenty of activities to fit your active adult lifestyle. Learn more about the Sun Lakes, Arizona lifestyle in our active adult lifestyle video below. If you are looking for a Sun Lakes Arizona Real Estate Agent, let Becky Kolb and her team help you find the perfect community and home that suits your needs. The KOLB Team lives in Sun Lakes. We live the active adult lifestyle and we know the real estate market. Call us today at 480-440-0849. See The KOLB Team featured listings in Sun Lakes below.